New! 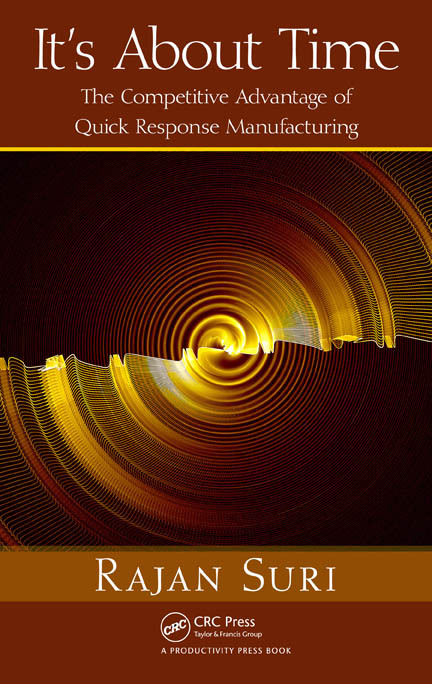 On-line "Introduction to Quick Response Manufacturing"
Two 30-minute on-line training courses provide an overview of QRM for managers and employees. Yes, You CAN Compete with Low-Wage Countries! Quick Response Manufacturing is a strategy that enables companies to significantly improve their productivity and their competitive edge. In this short video three company presidents explain how QRM enabled them to reduce their lead times by 70-80% and at the same time cut costs, allowing them to compete both locally and with low-wage countries, and to increase sales even during the recent recession! by four Midwest companies that implemented QRM. I am passionate about manufacturing -- specifically, about the importance of manufacturing competitiveness for a nation's success and long-term prosperity. My passion led me to develop QRM, a company-wide strategy that has enabled manufacturing firms to significantly improve their competitiveness. I introduced QRM over 15 years ago and have worked extensively with big and small companies in many industries.Here are the three main ways that I work with industry. Using QRM, companies have significantly reduced their lead times, improved their quality and also cut product costs by 20-40%. What is QRM and Why Did I Develop It? Please read more about QRM on this and other pages, and don't hesitate to contact me -- I truly enjoy working with companies to help them implement QRM and I would be happy to hear from you.